We were delighted to welcome Fr Anton Webb of the Oxford Oratory for the second time on 15 August to celebrate a Low Mass for the Feast of the Assumption. It was a beautiful sunny evening and some 60 people attended. Fr Webb looked resplendent in his red and gold chasuble and gave us a homily reminding us of how Our Lady longed to be in heaven with her Son between the time of His Ascension and her own Assumption and how we need to long for Jesus and that His will may be fulfilled in our lives. The first Latin Mass at Bedford took place on 16 August 2015 with a congregation of 16 people and so we can look back on a year of growth and deepening of our faith. Deo gratias! Just a reminder that Mass on Monday for the Assumption is at 7pm. It will be a Low Mass. Hope to see you then! 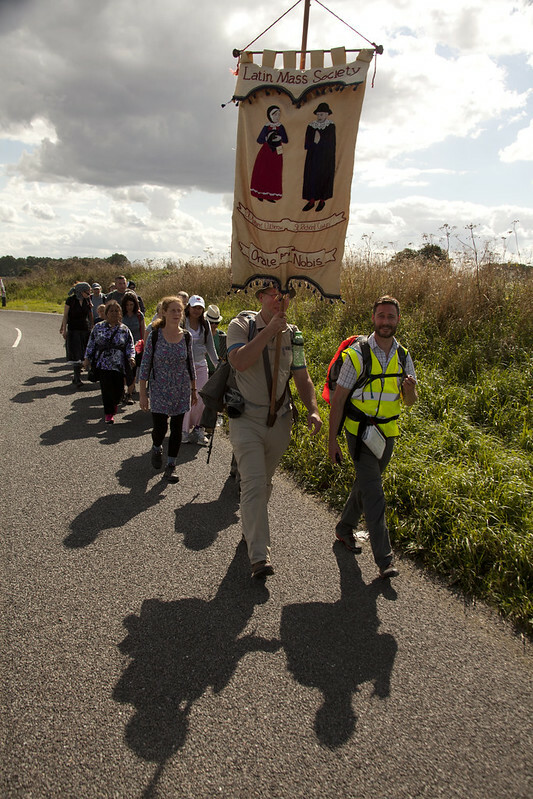 LMS Pilgrimage to Walsingham – deadline approaching! 15th August is the last date to sign up for the 7th Walsingham Pilgrimage August 21st – 25th. Booking is now open for the annual Young Catholic Adults weekend in Douai,28-30 October. This year, it will be led by Fr. Crean who Bedford parishioners know well. These are exceptionally good weekends, well worth going on.